Spring has sprung. The birdies are chirping, the weather is FINALLY getting warmer, and a brand new season of growth has begun – even here in snowy Minnesota. Been thinking about gardening. Have you ever noticed how business is similar to gardening? Check these out. Oranges don’t grow outdoors in MN or NY. Climate is very important. Your business will flourish in the right climate, but the wrong climate will stunt its growth, making things difficult and producing foul fruit. You need to feed and water something more than once for it to grow and flourish. The more you care for your plants the better they will grow and the more fruitful they will be. The same goes for your business; without nurturing and giving it the nourishment it needs to succeed, your business will fall as flat as a frostbitten tulip. Growth takes time. Whether we’re talking about your kids, your garden, or your business, growth takes time. Some plants and some businesses grow more than others. How fast yours grows depends largely on the climate and level of nourishment and nurturing you’re able to give it. The more seeds you spread the more fruit you will have. Not every seed you sow will grow. The more seeds you plant, the better the chances are they will grow big and strong. The more people that know about your product or service, the more successful it will be. Transplanting is hard. 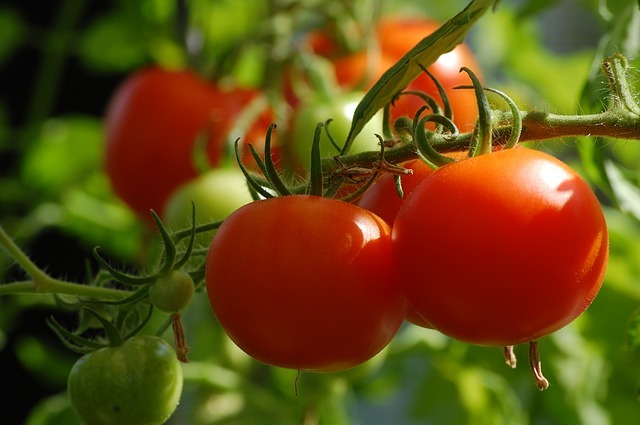 If you buy a pre-potted plant or a half-grown tomato plant and then plant it in your yard, it needs extra care as opposed to the one that was started from seed. A transplant gets shocked when introduced to a new environment. Growth is stunted temporarily. As the days go by, the plant becomes more used to its new soil and light schedule and starts to flourish again. In some sad situations, the plant simply dies and cannot be revived. The same goes for business. Transplants usually work, but they do stunt growth a bit. However, if you take your snow shovel business from Minnesota to Florida, it probably won’t survive unless you do some serious nurturing via the Internet. Many hands make for light work. The more people you have working in your garden the easier it is to tend to. Community gardens do well because there are many hands working and weeding. Tending a large garden all by yourself is a bit tougher. You’ll get tired and burnt out a whole lot faster. The same goes for business. If you have a motivated team (like team AngCo!) beside you helping you, you’ll be much better off in the long run than if you try to do it alone. There will be weeds. Some weeds have big thorns and are a huge pain in the neck to pull out. You do it anyway because you love your garden. Your business will have weeds too, whether they are snarky relatives or restaurant critics who don’t like your gravy. So you pick them out, even if they give you blisters. Don’t let those weeds block your plants from the sun. It’s been a long winter and I suddenly have the urge to get out in my own garden and start digging.